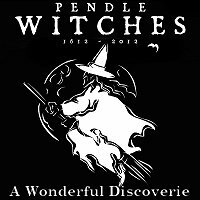 A Wonderfull Discoverie: The Lancashire Witches 1612-2012, is a new exhibition, at Gawthorpe Hall in Padiham, Lancashire, which commemorates the 400th anniversay of the Pendle Witch Trials. The exhibition opened on 31st March 2012 and runs until Sunday 8th July 2012, and is part of a series of events at Gawthorpe Hall and across Lancashire to mark the 400th anniversay. The Lancashire Witch Trials were made famous by the publication of The Wonderfull Discoverie of Witches in the Countie of Lancaster by Thomas Potts in 1612. The twelve accused witches lived in the area around Pendle Hill, 10 were tried at the Lancaster Assizes on 18–19 August 1612 and one was tried at York Assizes on 27 July 1612. Elizabeth Southerns (Demdike) died in prison. Of the eleven individuals who went to trial at Lancaster, nine women and two men, ten were found guilty of causing death or harm by witchcraft and executed by hanging on 20 August 1612 at Gallows Hill in Lancaster; one was found not guilty. The exhibition explores the case and its context, investigating superstitions and beliefs in the 400th anniversary year of the Lancashire Witch Trials. See website for Opening Times and Admission prices.